This page describes the required steps for a SpatialOS Unity project to support iOS build targets. This guide assumes that you have an existing SpatialOS project, which you are intending to add iOS support using Unity. Locate the workers/unity folder of your SpatialOS project. Open spatialos.UnityClient.worker.json in a text editor. Open spatialos.UnityWorker.worker.json in a text editor. If either of the above files have the line "generated_build_scripts_type" : "unity", automatically generated build scripts are turned on. Do you see all three of those files? Remove the line "generated_build_scripts_type" : "unity" from BOTH of the build scripts (spatialos.UnityClient.worker.json and spatialos.UnityWorker.worker.json) as described above. This will prevent them from being over-written each time you build. The files should now be generated. Remove the line "generated_build_scripts_type" : "unity" from BOTH of the build scripts i.e. spatialos.UnityClient.worker.json and spatialos.UnityWorker.worker.json as described above. Open spatialos.unity.client.build.json in a text editor. By default, you will have a task named “Codegen” with several steps, e.g., “Dependencies”, “C# standard library”, “C#”, etc. Go to the last step, which should be “Compile generated scripts”. You can also download an example JSON file. Open spatialos_worker_packages.json in a text editor. By default, you would have several targets specified, each with a “path”, “type”, and a list of “packages”. In the terminal, build your project by running spatial worker build. Wait until the build process completes successfully and without any errors. 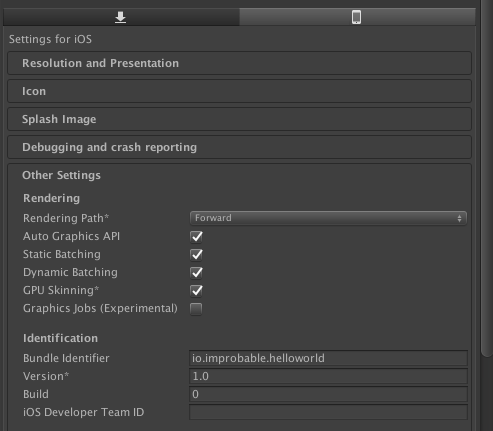 Navigate to the folder workers/unity/Assets/Improbable/Sdk. You should see three sub-folders, Dll, Editor, and Src. In the Dll sub-folder, verify that the file Generated.Code.Serializer.dll is present. In the Editor sub-folder, verify that Addons/iOSBuildTools is present. 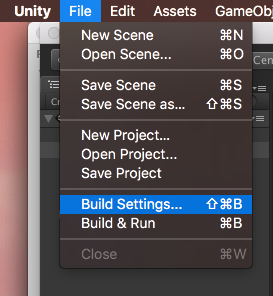 Open your project in Unity. You’ll need to make the following changes to prepare the application for iOS build targets. As Unity automatically strips out code and assemblies for iOS workers, it is important to add a linker configuration link.xml; it prevents some code, for example Protobuf serialization/deserialization method calls, from being stripped out by Unity. In Unity, add a file called link.xml into the Assets folder, if not already present. You can also download this link.xml. 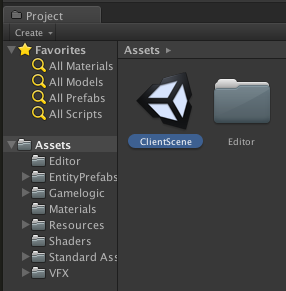 in Unity, open the ClientScene or UnityClient scene found in the Assets folder of the project navigator. Click on the GameEntry game object in the scene hierarchy. Open the Bootstrap.cs MonoBehaviour script by double clicking on the script in the Inspector. // Set to the name of your SpatialOS project here. IMPORTANT: Make sure to set the APP_NAME constant to your project name. This should match the project name as specified in spatialos.json. Click to expand Configuration -> Debugging. Click to expand Configuration -> SpatialOS Application. If testing against a deployment , leave it blank and not set. If testing locally (spatial local launch)), leave it blank. If testing against a deployment, set it to a valid login token. This section outlines several additional modifications required to configure Unity correctly for SpatialOS and iOS. The following build settings are recommended for compatibility with SpatialOS. Under Platform, select iOS such that it is highlighted. Click on Player Settings.... This should show the Player Settings in the Inspector. (Optional) It is useful to set Run in Xcode as to Debug and to check Development Build. This will enable full stack traces to be visible when running from Xcode. Hint: Click on the little arrow next to Save As to expand the panel to enable you to browse. 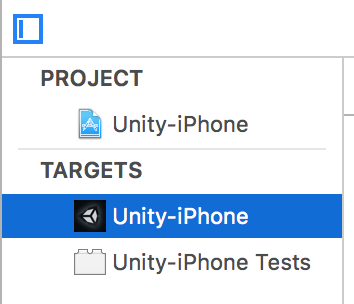 Create a folder called UnityClient@iOS, if it doesn’t already exist. Under Save As:, enter the name UnityClient@iOS. Note: The following image should resemble what you see on your screen. 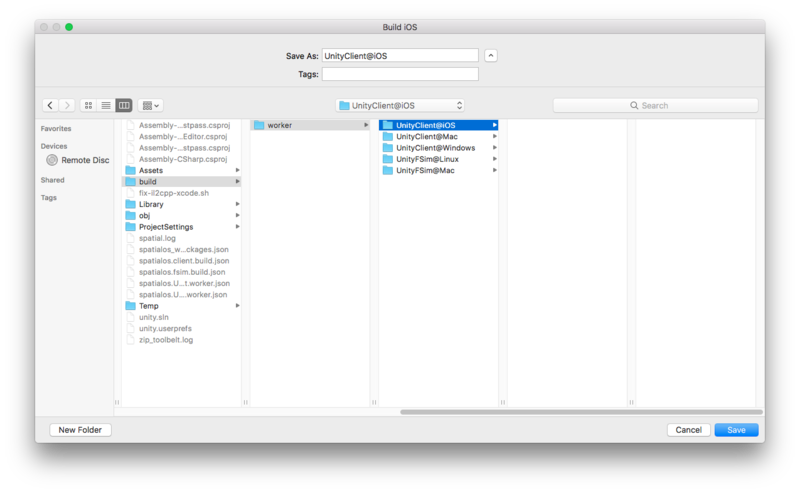 By making sure that the UnityClient@iOS folder is selected (blue), the generated Xcode project will be placed in a folder within the UnityClient@iOS folder. That is, your Xcode project file will be located in workers/unity/build/worker/UnityClient@iOS/UnityClient@iOS/Unity-iPhone.xcodeproj. The repeated folders are intentional! This will help maintain the same conventions and structure that standalone Unity workers have. (Optional) Having done the above, you can now also specify iOS as a build target in your player-build-config.xml file. This will automatically build an iOS worker with the last saved build settings you have in Unity. This is the recommended approach. After doing so, you may then skip straight to Step 7: Codesign libCoreSdkDll.dylib. Option 2: Follow the instructions outlined in the rest of this section. Reminder: If you chose Option 1 above, you may skip this section and go straight to Step 7: Codesign libCoreSdkDll.dylib. Architectures: x86_64 (Simulator) OR armv7,armv7s,arm64 (Device). Base SDK: Change to Latest iOS from the dropdown menu (e.g., Latest iOS (iOS 10.2)). Valid Architectures: x86_64 (Simulator) OR armv7,armv7s,arm64 (Device). Runpath Search Paths: Add @executable_path. Hint: Use the search bar to help find these settings. Locate the appropriate platform version of the libCoreSdkDll.dylib in your project. 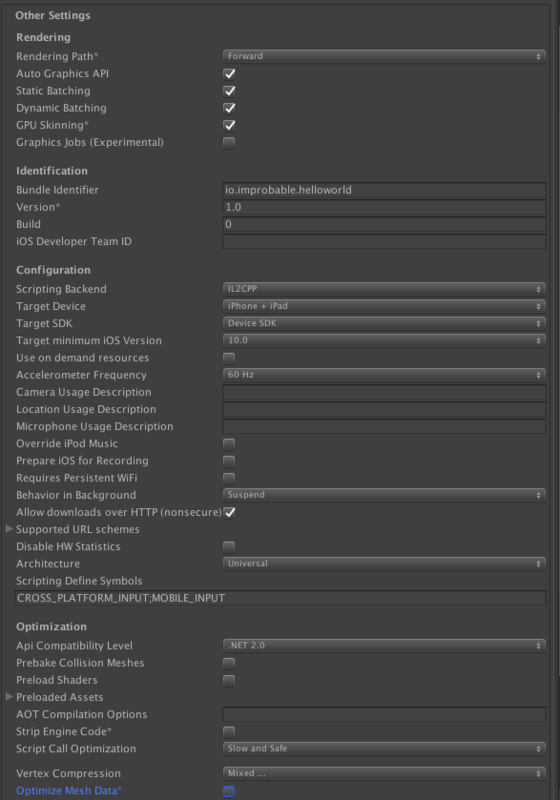 For iOS Simulators, locate it in workers/unity/Assets/Plugins/Improbable/darwin_ios-x86_64-dll/. 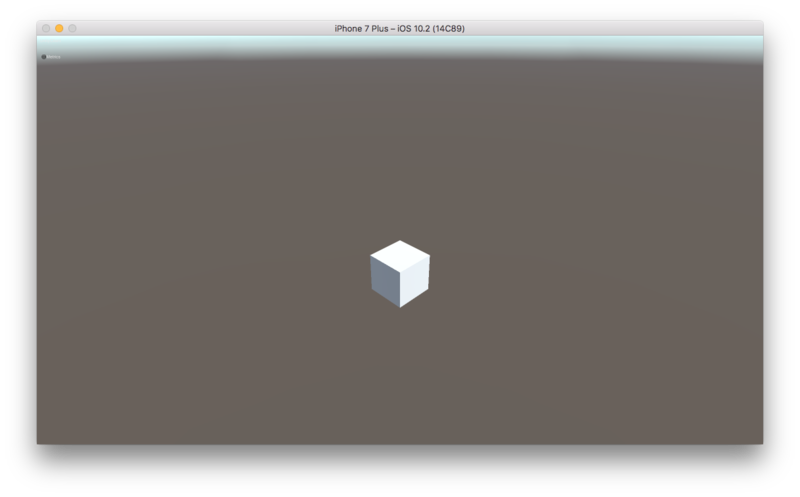 For iOS Devices, locate it in workers/unity/Assets/Plugins/Improbable/darwin_ios-arm-dll/. 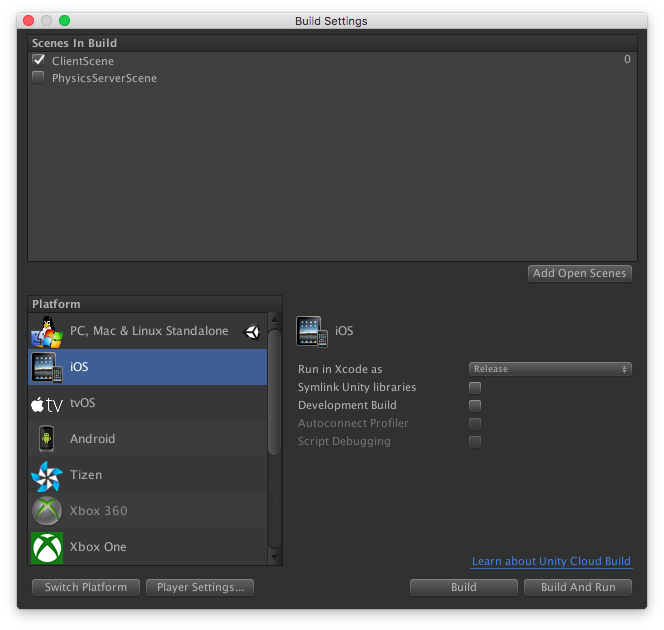 Copy the selected libCoreSdkDll.dylib into the folder: unity/build/worker/UnityClient@iOS/UnityClient@iOS/Data. In Xcode, start building your project using the Product->Build menu or by using CMD+B. If you observe build errors related to Unknown type names (for example, OrConstraint_t1672328221), this is due to a bug in Unity’s IL2CPP code generation. To fix these issues manually, and learn more about what causes them, refer to our Troubleshooting guide. Place it in your <path_to_your_project>/workers/unity/ directory. Run it from the <path_to_your_project/workers/unity directory. Run the project from Xcode by using the Product->Run menu, or using CMD+R, or pressing the play button. Note: As with all client workers, make sure that your server is running, either locally (spatial local launch) or from a deployment (spatial cloud launch). If successful, Xcode will complete the build and begin running the application on your iOS device or iOS Simulator.